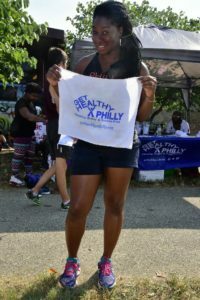 If you are looking to show your body some fitness love, spend a little more time outdoors, or get to know your neighbors better join Strawberry Mansion’s FREE 8-week interval training program to build up your mind and your muscles. Join Lee Scottlorde every Tuesday evening at 6pm and every Saturday morning at 9am for the 8 weeks leading up to the event on September 8th. Working out not only strengthens your body but also the activates your mind and there’s no better place to start your fitness journey than the The Boxers’ Trail, great the same trail that famous boxing champ Joe Frazier practiced on.